Oracle Corp., the world’s second-largest software company, projected profit in the current quarter that fell short of Wall Street’s estimates, signaling it still may be struggling to pivot to the cloud. Shares declined more than 4 percent in extended trading. Adjusted earnings per share in the fiscal first quarter will be 67 cents to 69 cents, compared with analysts’ projections of 72 cents a share. Revenue will increase 1 percent to 3 percent in constant currency, Chief Executive Officer Safra Catz said on a conference call. Catz and Chief Executive Officer Mark Hurd have expanded Oracle’s cloud offerings in a bid to shore up sales. Over the past few months, the company has engaged in a charm offensive meant to woo new and old customers to convert to its products accessible via the internet and by subscription, instead of programs that clients hosted on their own servers. Last year, Catz forecast double-digit adjusted earnings per share growth for fiscal 2018 and the company delivered an increase of 14 percent, “largely driven by strong growth in our cloud businesses,” she said in a statement Tuesday. While profit projections in the current period may fall short of estimates, Catz said in the statement that she expects the company will again deliver double-digit adjusted earnings per share growth in fiscal 2019. In the fiscal fourth quarter, profit excluding some items was 99 cents per share on sales of $11.25 billion, the Redwood City, California-based company said. Analysts had on average estimated 94 cents a share and revenue of $11.2 billion, according to data compiled by Bloomberg News. The shares, which oscillated after the results were released, fell as much as 4.8 percent to $44.03 in extended trading. In March, they fell the most in six years after the company forecast slowing sales in cloud-related products. Oracle changed the way it reports cloud revenue with these results and didn’t break out sales of traditional on-premise software licenses as it had in the past. 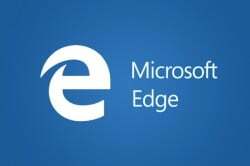 The company said cloud services and license support revenue, which accounts for 60 percent of the total, increased 8 percent to $6.8 billion. Cloud license and on-premise license revenue declined 5 percent to $2.5 billion. The change, “which masks the performance of its cloud infrastructure and applications segments, overshadows higher-than-expected sales and adjusted EPS growth,” Anurag Rana, a senior analyst at Bloomberg Intelligence, wrote after the earnings were released. Catz said the changes are intended to better describe Oracle’s business since the introduction of its bring-your-own-license model. The model lets customers move their existing business to Oracle’s cloud while they continue to pay support for the licenses, she said during the call. Based on Oracle’s prior reporting structure, “total cloud revenue” was $1.7 billion for the period ended May 31, Catz said. 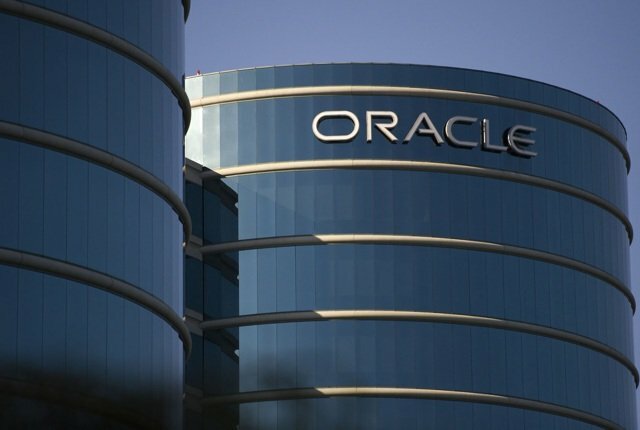 That’s about a 9 percent increase from the total cloud revenue Oracle reported in the previous quarter and a 25 percent increase from a year earlier. Some of Oracle’s largest customers have now begun the process of moving their on-site databases to the cloud, said Chairman and Chief Technology Officer, Larry Ellison. “For example, AT&T is moving thousands of databases and tens of thousands of terabytes of data into the Oracle Cloud,” he said. The company also invested in a new center in Austin, Texas, which will eventually house 10,000 employees — including many in sales. Oracle has recruited a new generation of sales staff from a litany of universities across the U.S.